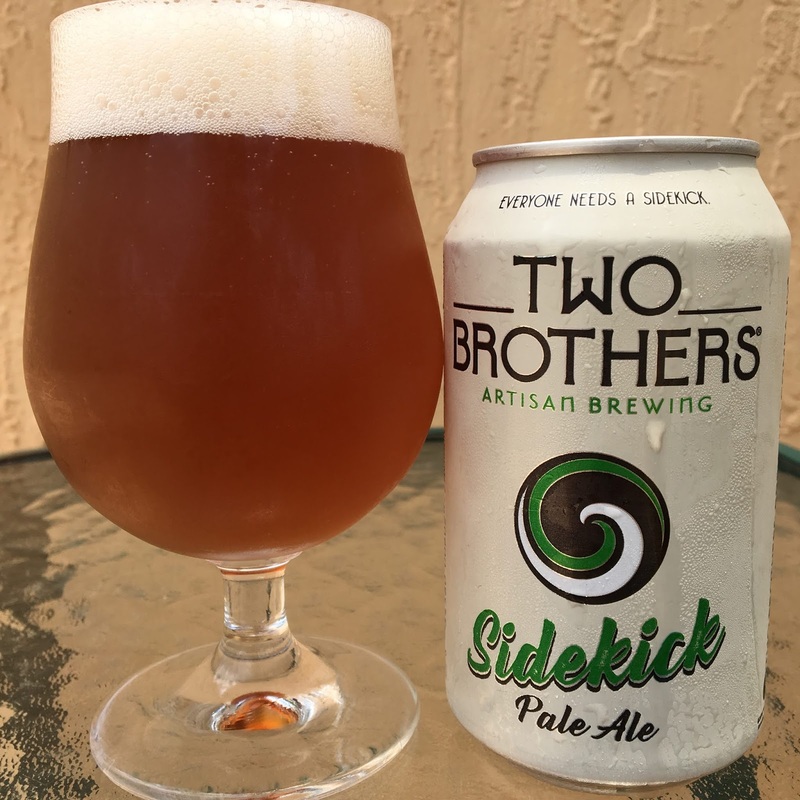 Today I'm checking out Two Brothers Sidekick Pale Ale. "Everyone Needs a Sidekick." 5.1% alcohol. 36 IBU. Kick By 10/22/18. Floral aroma with some caramel, not too strong but nice. Flavors the same. Sweet caramel comes first. There is a floral, bitter, hoppy answer, but overall this is kind of sweet with a big body. Rich for a pale ale which detracted some from the refreshment. Was OK.